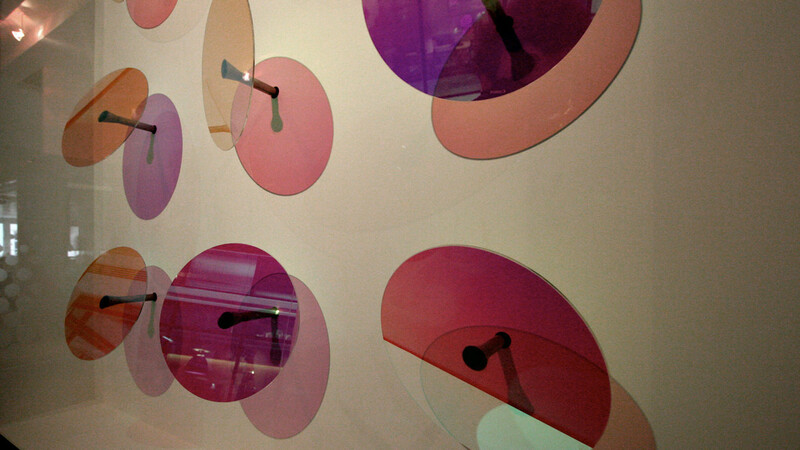 The piece comprises 9 discs made from dichroic glass, which passes light of one colour while reflecting another. Each disc is mounted at 22.5 degrees to a drive shaft which is driven by a stepper motor. As the discs rotate the full spectrum of available colours is presented on both the surface of the glass and in the reflected light. This is apart of an exhibition at the property developer Hammerson PLC’s London headquarters. 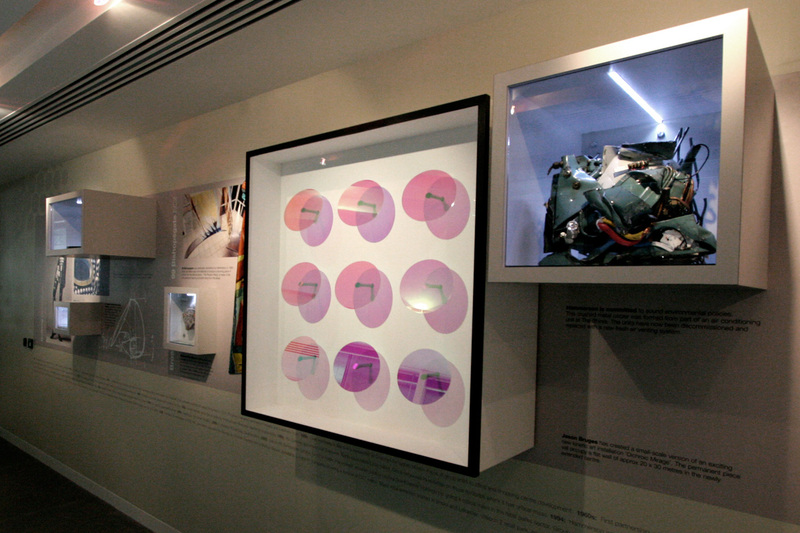 The exhibition was a showcase of the various creative projects supported by the developer. It is a model of a larger wall installation for Hammerson’s High Cross shopping centre in Leicester. The project was completed at Jason Bruges Studio.